A two-member NCLAT bench also directed the RCom MD to file an undertaking about the settlement amount. Ericsson India would also file an undertaking before the tribunal over the acceptance offer. The National Company Law Appellate Tribunal on Wednesday granted a "conditional stay" on insolvency proceedings against RCom and its subsidiaries -- Reliance Infratel and Reliance Telecom -- after the company informed it had reached at an "amicable settlement" with Swedish networking provider Ericsson. Anil Ambani's beleaguered telecom company on Tuesday came out with a fresh offer of Rs 500-crore upfront payment to Ericsson to settle the matter. While hearing the matter on Wednesday, the tribunal asked RCom and its subsidiaries to pay Rs 550 crore as part of the settlement with Ericsson within the next 120 days (by September end) from June 1, failing which the insolvency proceedings would be started against the company. A two-member bench, headed by Chairman Justice SJ Mitttal, also directed the RCom MD to file an undertaking about the settlement amount. Ericsson India would also file an undertaking before the NCLAT over the acceptance offer. The appellate tribunal's decision comes as a relief to Anil Ambani's companies. The National Company Law Tribunal on May 15 had triggered the insolvency process against the debt-ridden company after Ericsson registered three separate applications against these companies over the non-payment of dues worth Rs 978 crore, which now total around Rs 1,600 crore. The appellate tribunal had on Tuesday suggested the matter to be solved between the parties. 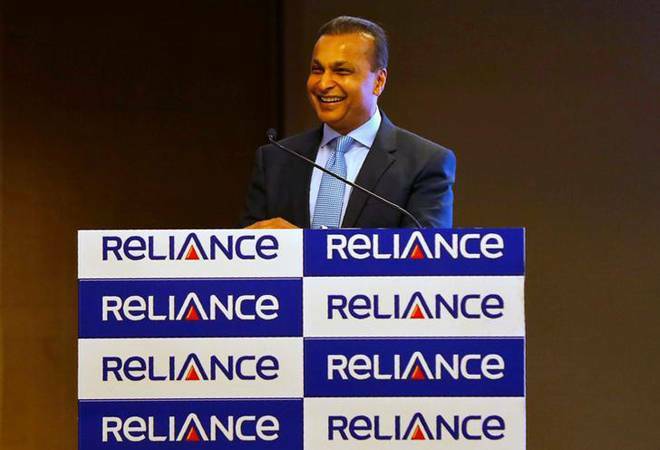 RCom and Reliance Infratel Limited and Reliance Telecom Limited had entered into a seven-year agreement with Ericsson in 2013, under which Ericsson provided all the operational services, including mobile towers, broadband, fixed line, wireless voice, and data, to the three companies but these companies failed to pay its dues. Earlier, RCom's financial creditors including State Bank of India and China Development Bank had also not backed the decision of Ericsson to move the NCLT to initiate insolvency proceedings against the telecom operator. The company has a total debt of over Rs 46,000 crore. To pare debt, RCom has planned to monetise assets worth Rs 25,000 crore from their sale to Reliance Jio. It had signed a deal to sell its wireless assets to Reliance Jio Infocomm for over Rs 25,000 crore in December 2017.